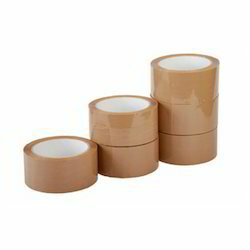 Our company is engaged in manufacturing and supplying high quality range of Bopp Self Adhesive Tapes. Offered adhesive tape is designed with precision, our range is known for their resistance and durability. This adhesive tape is tested in terms of quality so as to dispatch a defect free range. The offered adhesive tape is commonly used in automobiles, electronics appliances, aircraft industries as well as electrical insulation of all cables.